Thane is an incredible city in the state of Maharashtra that goes through constant development and has come a long way over the years. For all that it has to offer today, Thane has turned into one of the most loved cities in the country. The real estate industry in Thane is booming today with plenty of residential and commercial projects hitting the market. 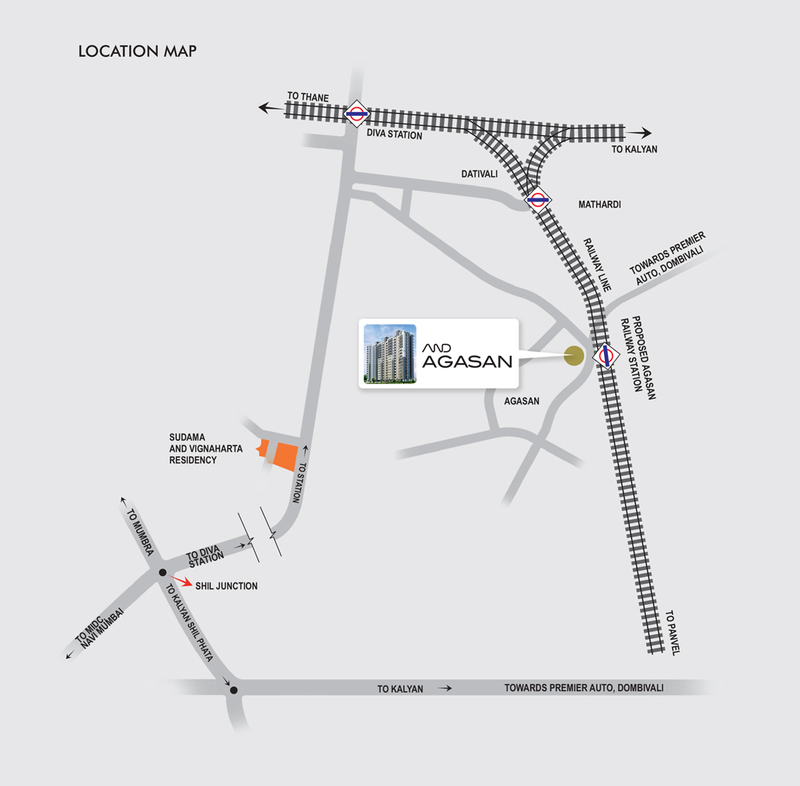 AND Agasan is a new residential development in Thane by Anantnath Developers that offers affordable housing without any compromises on luxury from head to toe. Spread over acres of luscious land, this development contains a spectacular tower of 3 wings that offers 1BHK and 2BHK apartments of different configurations and amazing area sizes that will always make you feel free. This is where you can find the perfect apartment that will meet all your requirements and needs perfectly. AND Agasan Thane is a divine residential development that is filled with lavish internal and external amenities that will satisfy your soul. The apartments are well-spaced and contain premium furnishings and fittings, vitrified flooring, anti-skid designer flooring in bathrooms, designer main doors, flush internal doors and beautiful French windows, elegant kitchens with modular kitchen layouts, granite platforms and S.S sink, acrylic paint on internal walls, high-quality electrical ports with modular switches, intercom facility and more. This development offers a range of extravagant external amenities that will take your breath away! They include a massive clubhouse, well-equipped gymnasium, swimming pool and a play-area for your kids, dedicated area for senior citizens, garden, designer flowerbeds with beautiful aromatic flowers, open space, efficient car parking, well-trained security and a lot more for an experience of pure luxury and comfort every day. Located at Diva in Thane, this development comes in close proximity to all of your daily and emergency landmarks like schools, colleges, medical centres, hospitals, malls, shopping centres, general stores, supermarkets, cafes, restaurants, pubs, banks, ATMs, highways, public transport and more. You can find and access multiple places without worrying about traveling for hours. Anantnath Developers focuses on offering a modern-day lifestyle of supreme luxury at a low cost. The AND Agasan price is simply splendid, affordable and definitely worth the comforts that it has to offer. Experience a new world of luxury without a heavy load of your wallet and live life to the fullest! You can choose from multiple payment plans according to your convenience and also opt for home loan facilities at low interest rates, NRI services and more.